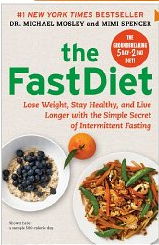 Why Follow Michael Mosley’s FastDiet? Home » Prostate Cancer Recurrence » Why Follow Michael Mosley’s FastDiet? Previous postProstate Cancer Pony Express Rides into Nation's Capital Next postCan Coffee Prevent Prostate Cancer Recurrence? A New Study Suggests the Answer is Yes!